A quick trip into Stafford and a quick cache! I had to pop into Stafford this afternoon to pay some cheques in at the bank and this cache was on the way into town – how handy. I did the cheques first and then spotted the entrance to the church car park as I drove up the road on the way home. After parking up I crossed the road and walked up into the beautiful churchyard. The co-ords were bang on and lead me straight to GZ for a very easy find. 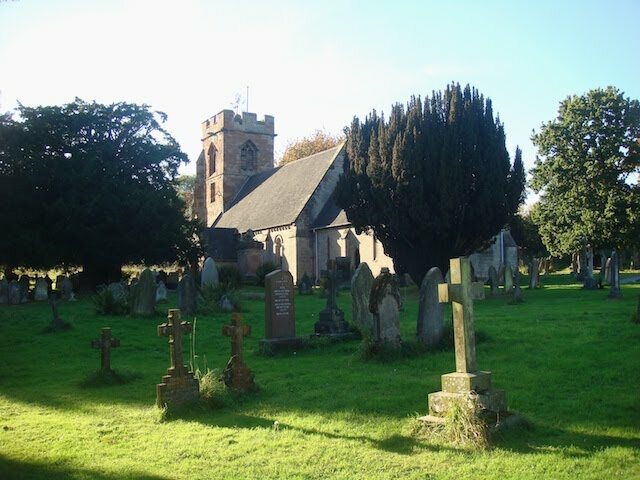 After I’d put the cache back, I had a mooch around the churchyard and took a few photos of the lovely church in the sun. That’s Stafford cleared of caches again, for now ;-).